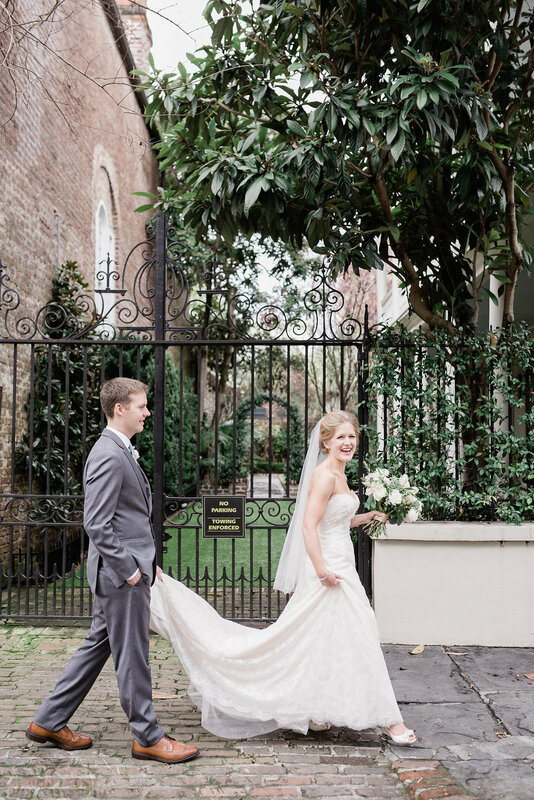 Abby and Garrett's Charleston inspired, detail-infused wedding appealed to every sense - guests were met with a vision of southern charm with french blue, peach, and patterned details, the scent of citrus-infused floral arrangements filled the air, and the locally sourced dinner from Cannon Green was mouthwatering to say the least. Fresh crab cakes and fried green tomatoes, anyone? 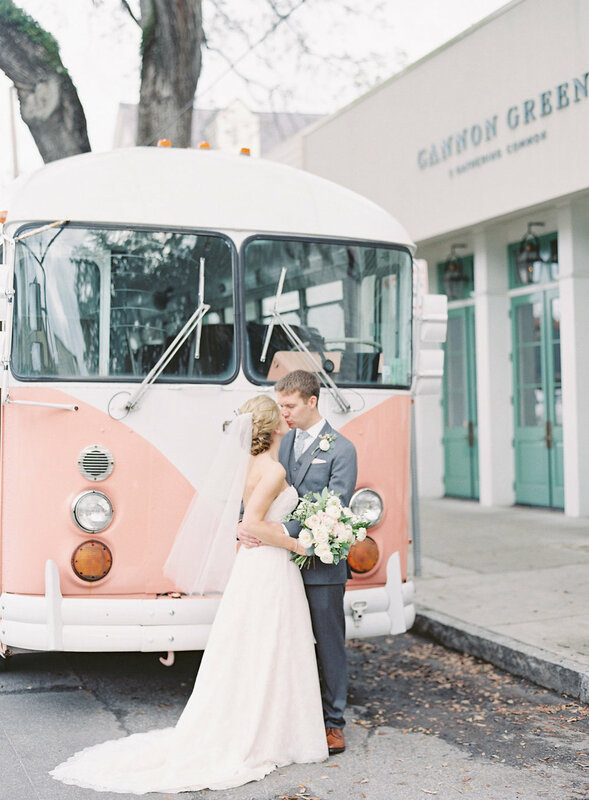 Both hailing from the midwest and having settled in Boston, they knew many of their guests would have to travel for their wedding day. 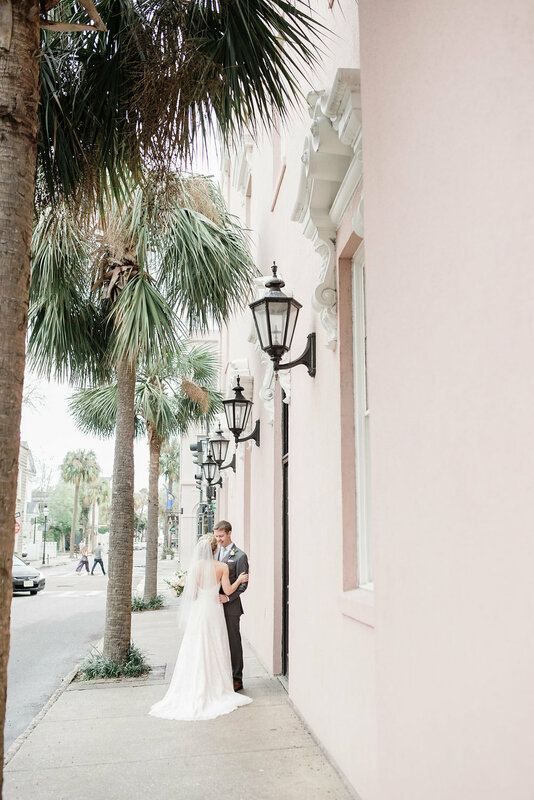 Before even getting engaged, they booked a birthday trip for Garrett to Charleston, South Carolina and instantly fell in love with the charm, beauty, and of course food that the city had to offer. 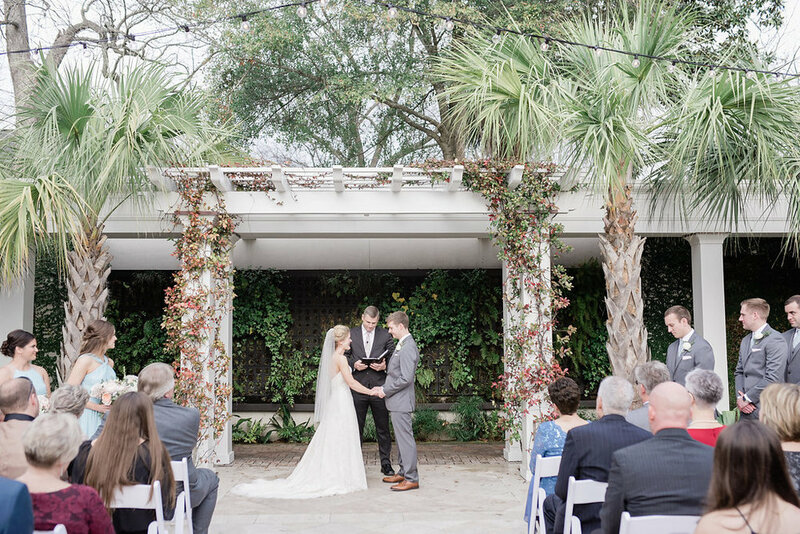 A couple of weeks later, Garrett proposed, and they immediately booked their wedding date for the following February at Cannon Green in Charleston. 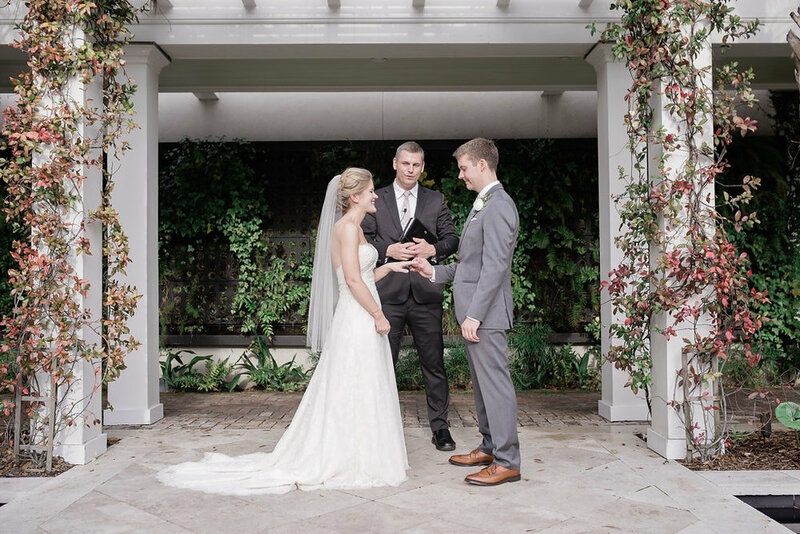 As soon as I started working with them, Abby made one thing clear - she wanted a beautifully designed wedding that reflected their own personalities and styles, and that made their guests feel at home. 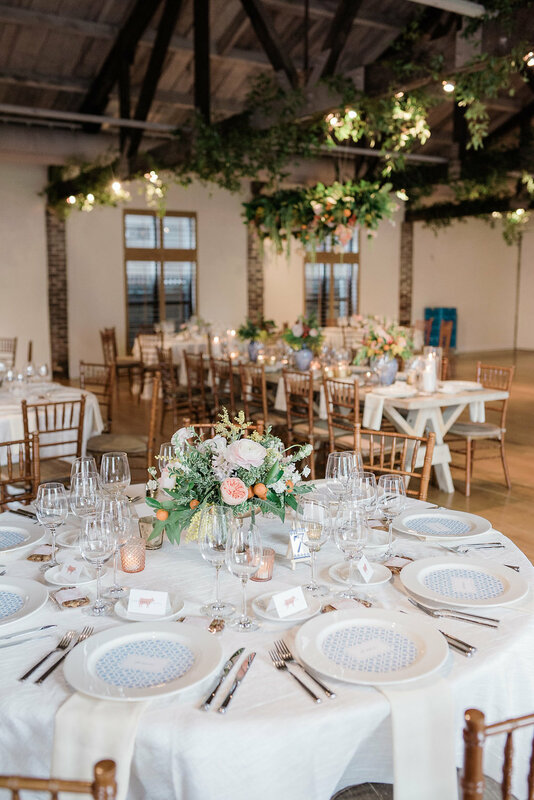 With the perfect venue as their backdrop, we got to work to infuse their New England prep styles into their southern-inspired day. Abby happens to be visually impaired, which means she can't quite see color. 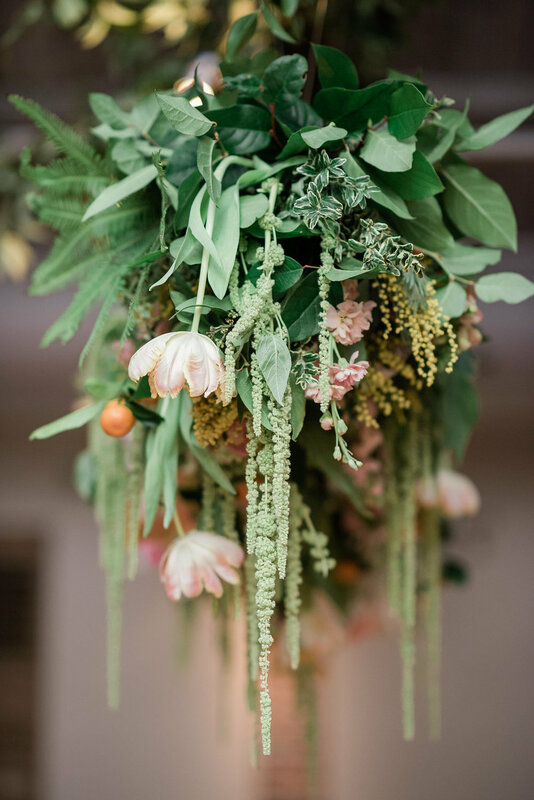 This really inspired me to think outside the box and incorporate lots of details into the day that would stimulate every sense. 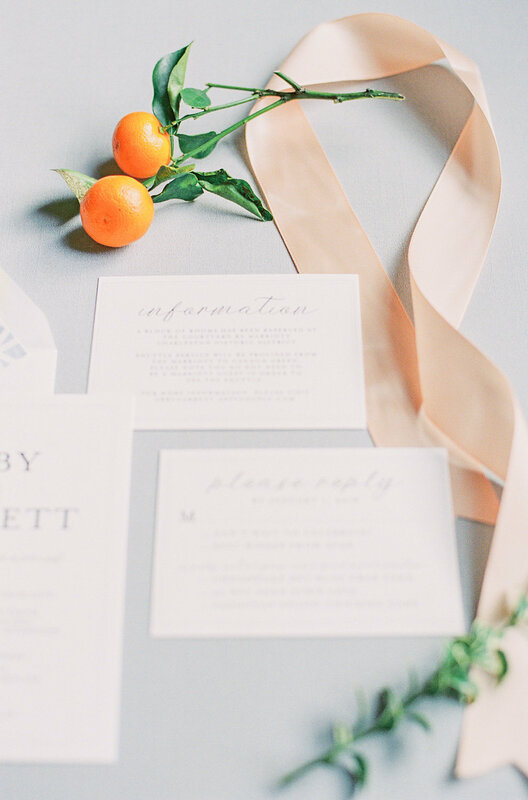 We added a lot of texture and pattern into the details like their menus, and even used citrus like kumquat in their floral arrangements, which smelled phenomenally fruity. 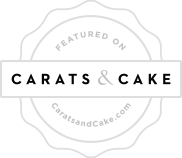 We wanted to let Charleston speak for itself, so we kept details relevant yet not too obvious, impactful yet subtle. 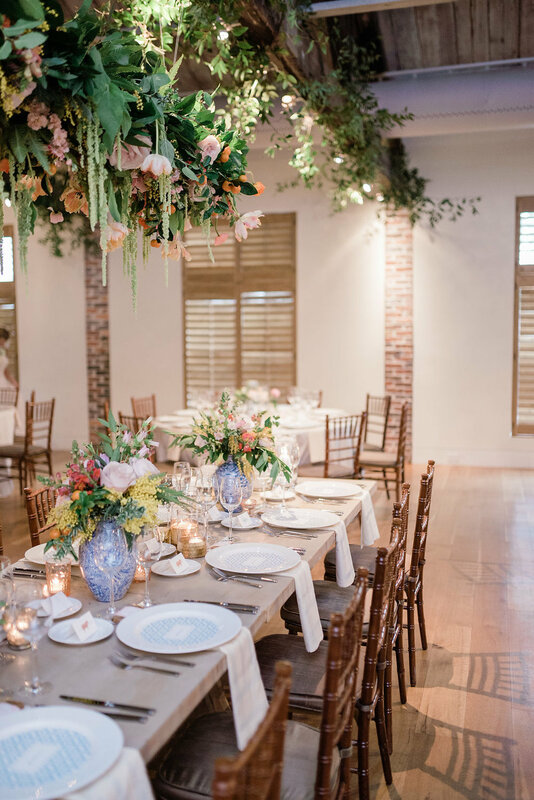 One of my favorites were the ceramic tile table numbers that mimic the darling house numbers we spotted all around the streets of Charleston. 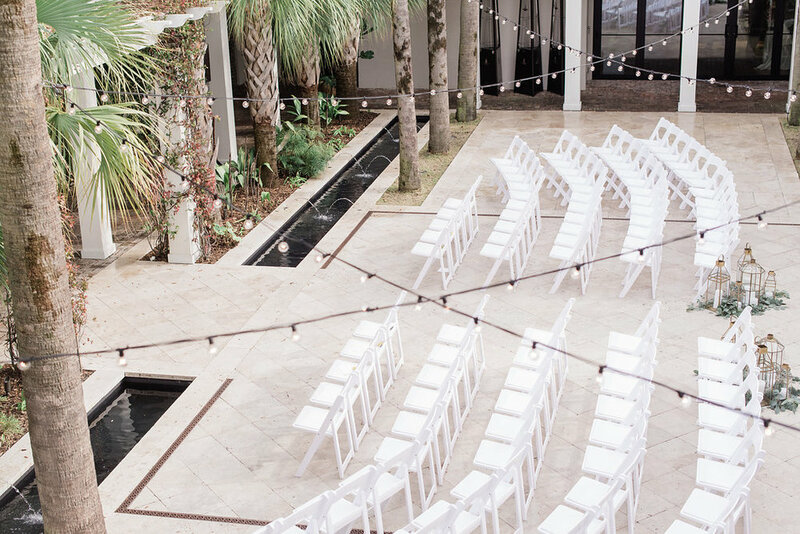 You might also notice tiny brass pineapples as a nod to the famous Charleston Pineapple Fountain and southern hospitality. Did you know that pineapples are a global symbol of welcome? 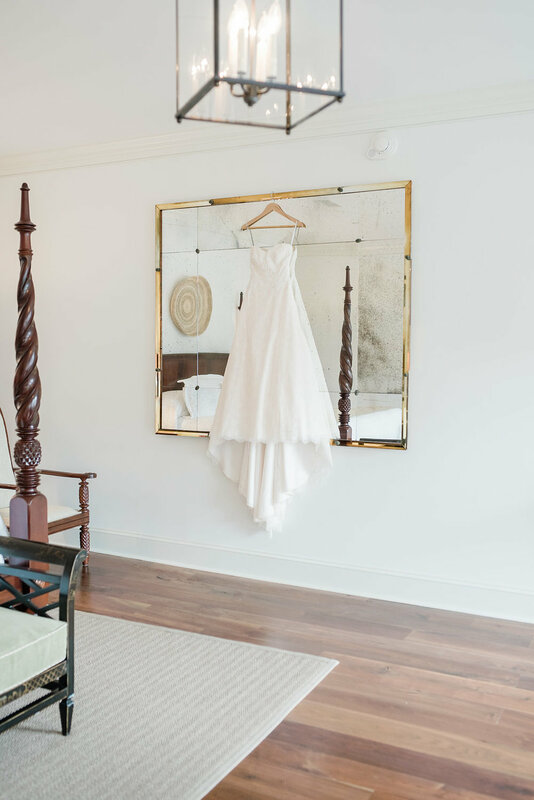 These details felt like the perfect fit to make guests feel at home! One of my favorite parts of the entire day was just how special it felt - I can't stress that enough. 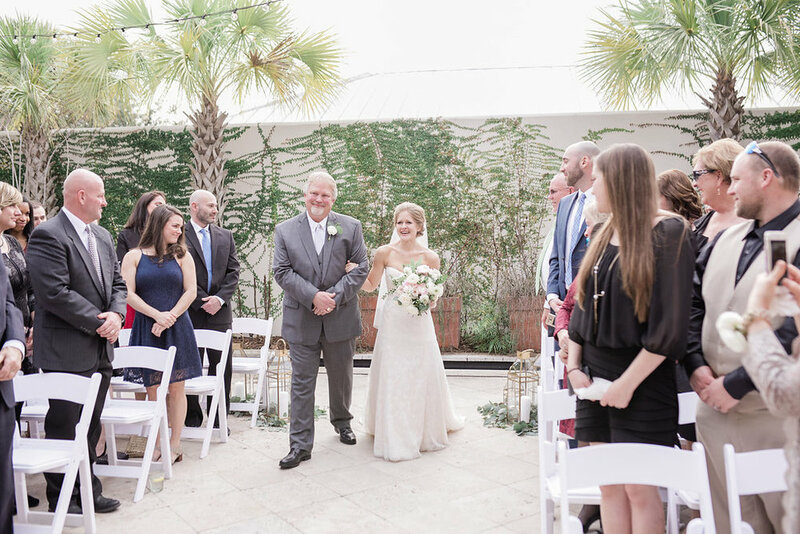 There was just something about Abby and Garrett's wedding, the way their families love them so deeply, and how thoughtful every single detail was that made the day feel full of love and of joy. 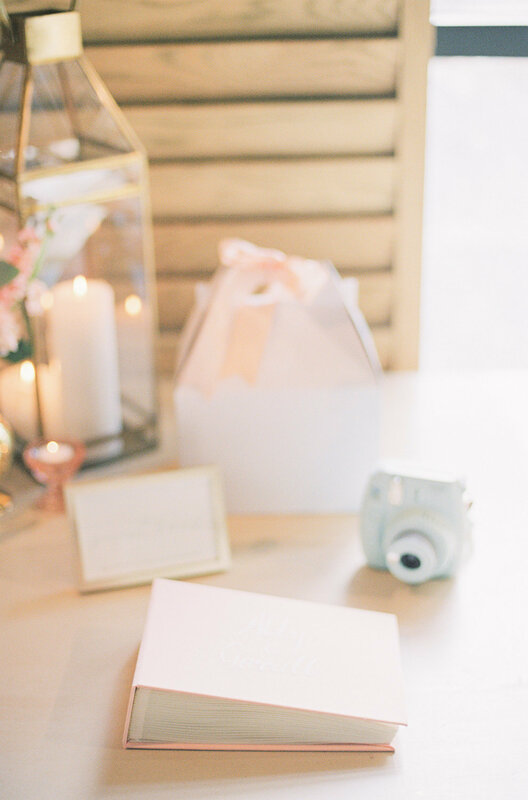 I hope you'll take a moment to soak in the details that we put so much care into, and to check out the vendors who made the entire day possible! 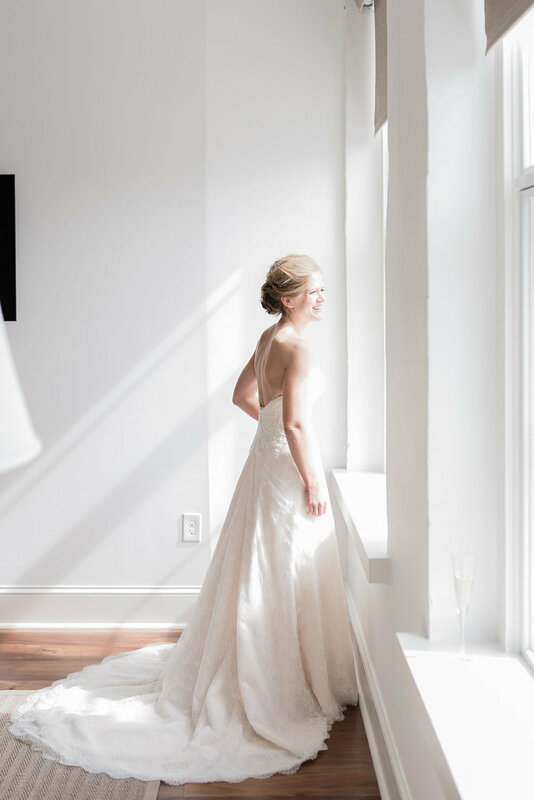 Cheers to a happy life together, Abby and Garrett!